Wednesday WTF: Where's Artemis When You Need Her? Mr. Farce and I came home last night to discover a single turd in the hallway. 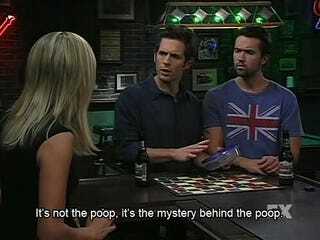 Neither of our dogs have ever pooped in the house, and it seemed too large for a cat turd. Typically, such a discovery would upset me, but we've been in stitches about it since the poo discovery. Someone fetch me Artemis Pebdani!